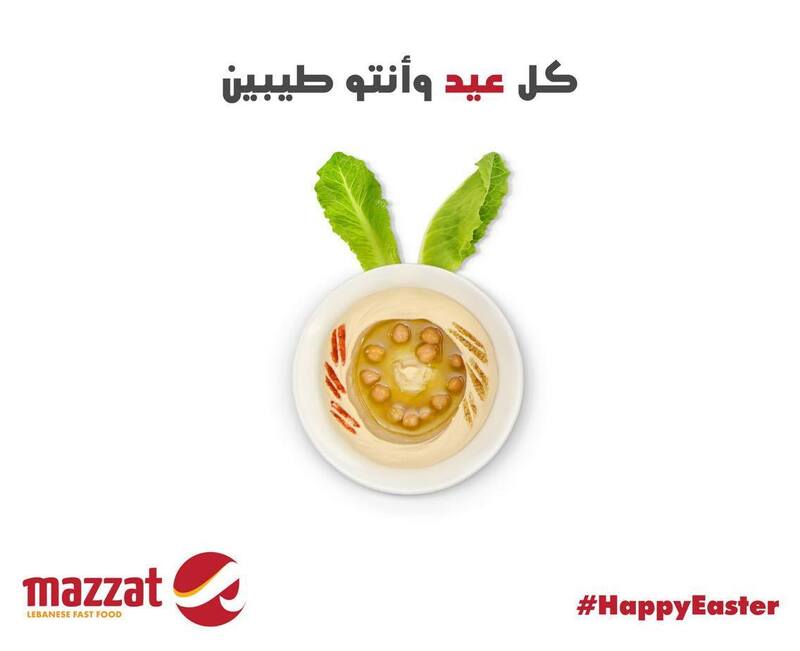 A rabbit dipped in Hummus, why not? 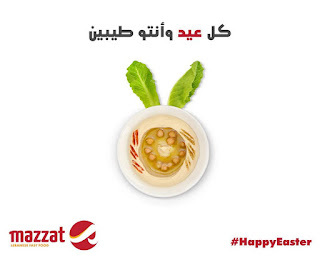 Mazzat goes a long way to show its own Easter offering - it being a restaurant helps with the sauce it was dipped in. And lettuce leaves for ears. Again, why not? I think it is the line though that steals the show "kil eid w into taybin" (on the face of it this means "may you be alive with every feast" but taybin also means "tasty" so the line becomes "may you remain tasty throughout"). A well rounded offering.